As some of you should have noticed, no new painting from me for a bit. 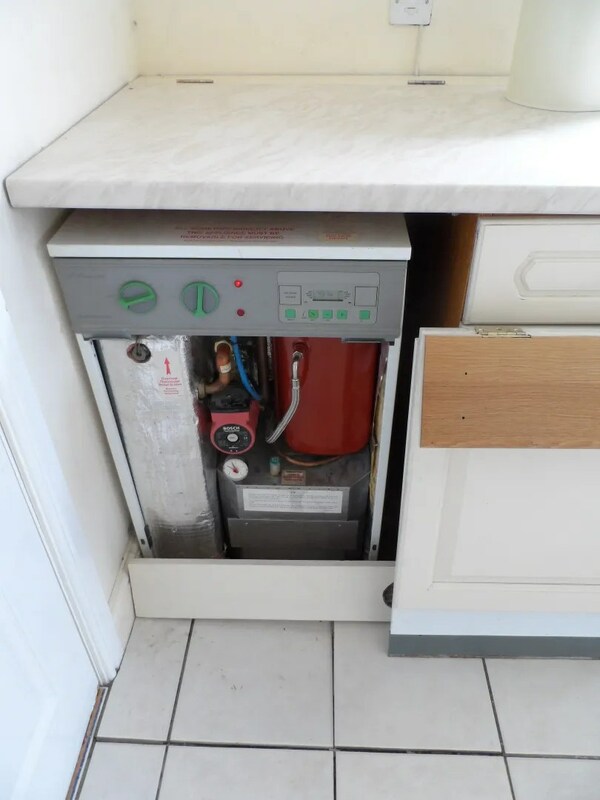 There’s two reasons, or rather points to make about this. As you can see they’re all unique poses (10+ poses in a single unit of 20). On top of that all the poses no matter how close are very varied in terms of equipment and style. 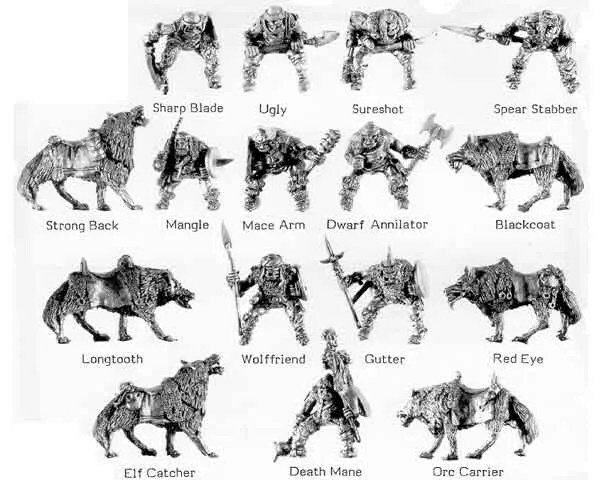 These figures were done back in 1984-1987, and were done well before mass Warhammer armies really came into vogue – they were more for RPGs when individual poses were more important. Since the 1990’s the sculptors have limited the poses to units and so you only get 4-5 poses for rank and files and they are very very similar. 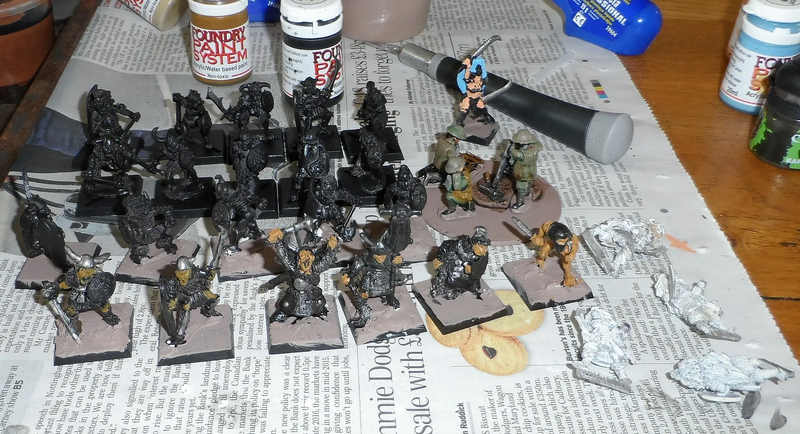 Which is great when it comes to building and painting units of troops because you can churn them out quickly. Sounds like a spray can of orange, pick out details then blast with an army painter dark or mid brush on and then matt varnish…basing and done…c’mon crack on. So I’ll be trying to do them as fast as possible, but that degrades the quality as I don’t have time to treat them as character figures. 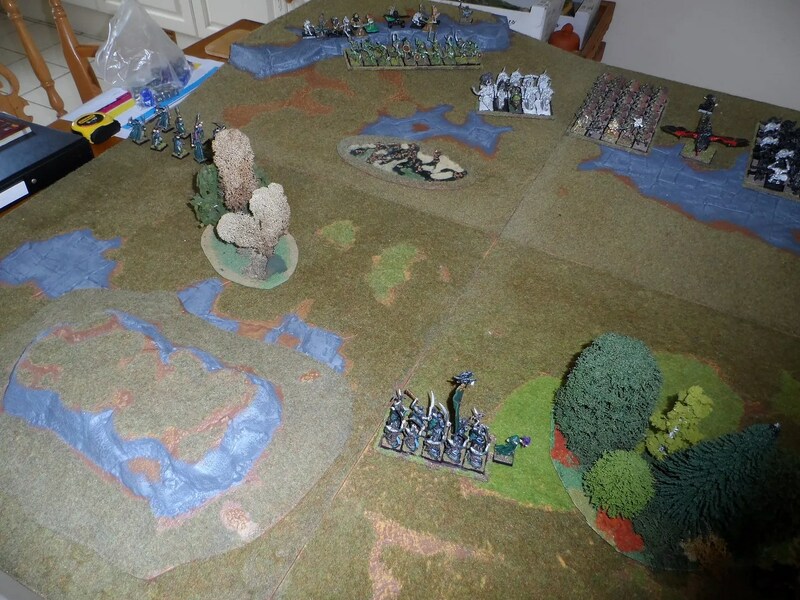 Rick Priestly as a veteran gamer and rules writer still involved in the hobby has had a go about the ever higher standards of painting in the hobby (historical and GW). Article is here. Basically there’s an issue of how high standards are becoming for painting. Talking with some of the Byakhees this is also a concern for them. We have agreed that we aim for a wargaming standard, no great shakes. Some of us are able to do really good stuff but we’d prefer to field armies of troops (100-200 figures) rather than aim for perfection. This is also especially true as some of our group are not painters and have limited skills/experience. So the question is how far do you go in getting the well painted figure ? 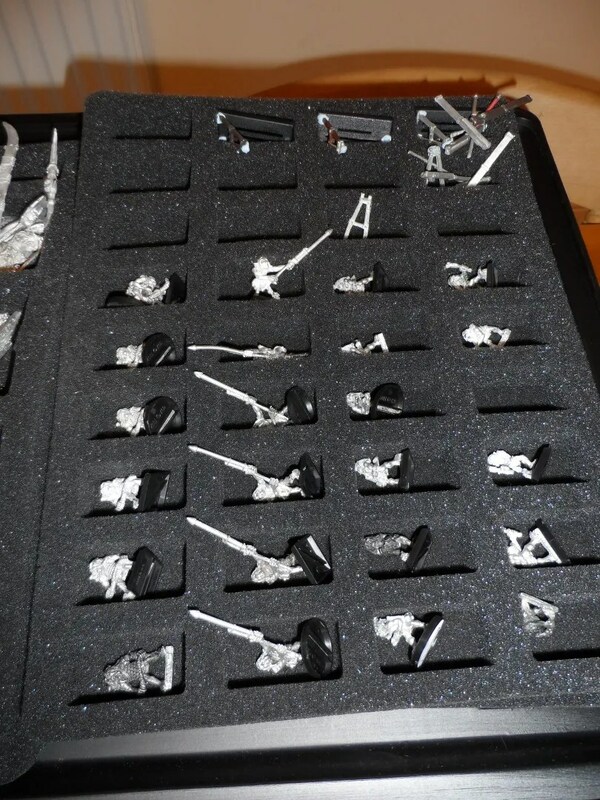 How far to you go to get an entire unit, or indeed army to field ? Versus the perfection and variation of say characters figures ? Here’s an interesting find, some footage of the Chinese Warlord troops. Showing some of their equipment and the conditions they fought in. You can spot some Big Sword troops in here as well. And lots of umbrellas. The Chinese Copplestone troops came equipped with them ! Later on there is the international forces in the Shanghai concession – American, British, italian and French including some FT17s. You can spot some Thompson SMGs with the round barrel magazines. Not sure of its provenance, most likely communist propaganda given the comments about the fecklessness of the Warlord troops, the attitude to the foreign forces and the footage of the revolutionaries. Most seems genuine footage with maybe a bit of staged stuff. After the release of the Hobgoblin Rocket Launcher sculpted by Aly Morrison and Mark Copplestone it all went quiet. Hobgoblin Shamans can have fierce mutant guard dogs called Hobhounds. …along with being subject to frenzy. 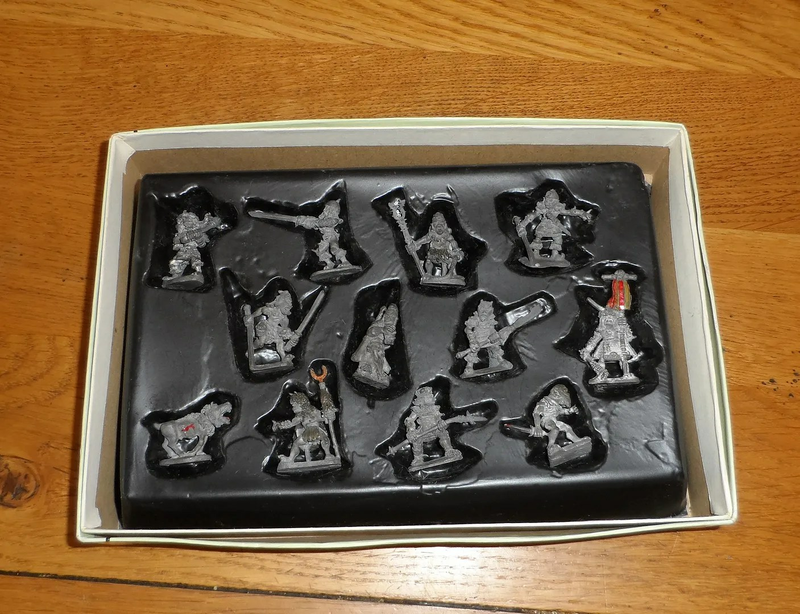 They featured in a WHFB 2nd edition scenario, The Dolgan Raiders. 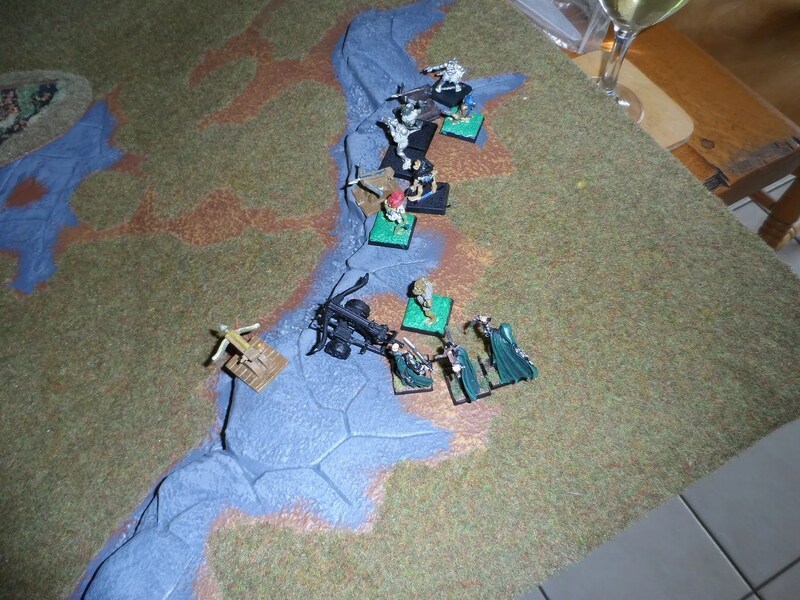 They were forming a caravan travelling along the great east road taking stuff to the Old World and were bing attacked by the Dolgans – a group of human nomads (these also are still mentioned in the WHFB fluff as Chaos Marauders). They used lesser Goblins (Gnoblars) as slaves and rode wolves. …the second largest of the goblinoid races, often reaching six feet in height…The resemble Humans more closely than an Orc or Goblin, although their faces are extremely ugly to human eyes. Their leathery, blemished skin is usually a dark yellowish brown and, unlike most goblinoids, they have a full head of black hair. 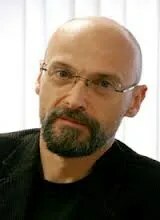 In common with other goblinoid races their skin is dark and geenish. In Warhammer: Armies, (1988) their mercenary nature was reveealed being list as a Mercenary Contingent only, and also the Hobgobla Khan was mentioned as chief of the ribe of Mournguls.They werfe still subject to frenzy. All is quiet until their re-appearance as allies and servants of the Chaos Dwarves and their appearance totally changes – full on greenskin appearance with shifty faces and hooked noses. 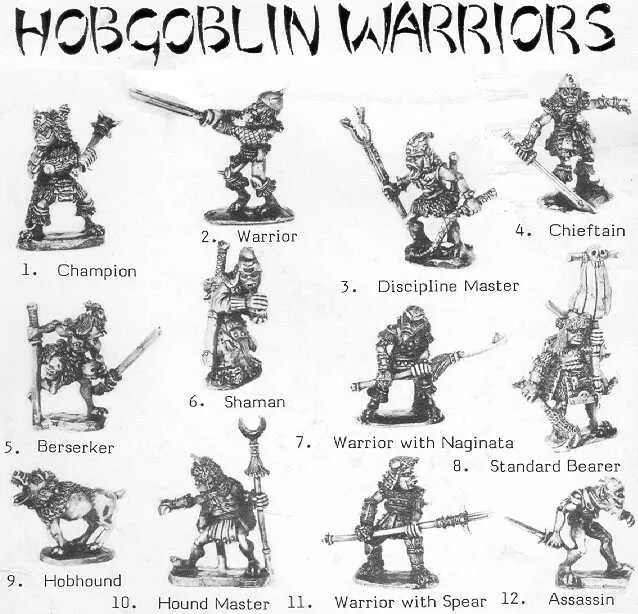 Neither that iteration of Chaos Dwarves nor Hobgoblins caught on, and GW ditched them many years ago. As I was just buying my own house to renovate I never acquired many of these rather odd figures. And to be frank liked none of them. A minor hero also was mentioned and had a mode – Ghazak Khan. As you can tell from the titles, this was a reversion fo the Mongol/Oriental themes they’d started out with. Since then, nothing. Chaos Dwarves are mentioned and are a side line for Forge World. Of Hobgoblins precious little. Even the Ogre Kingdoms don’t mention them. Only greenskin nomads placed on the Warhammer world map in WD300 are their legacy. …much like the early Regiment of Renown figures were. There were other variants not shown in the pciture from the Second Citadel Compendium. 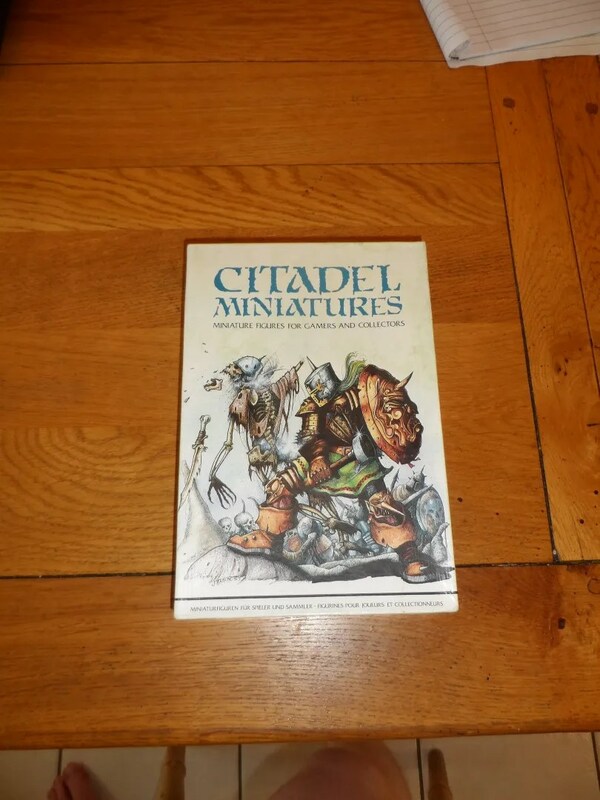 Some more of these can be seen http://www.collecting-citadel-miniatures.com/wiki/index.php/Hobgoblins_-_C36_(solid_Base). The slotta based range came next with 20 figures. Some were simply amendments of solid based figures, but about half were entirely new sculpts again by Ali Morrison. These were not available for long. 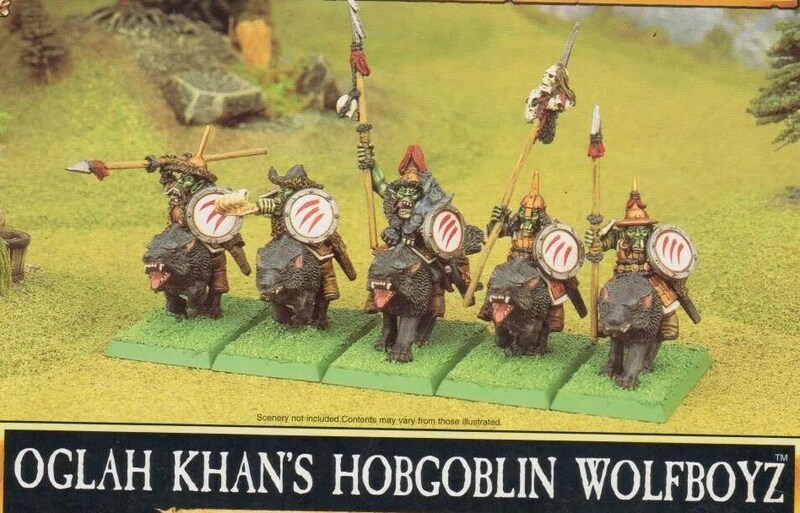 Nick Lund’s Chronicle Wolf Riders were around longer and IMHO fitted in well with the Hobgoblins in style – more so than the Orcs and even Hobgoblins (infantry) Nick produced. 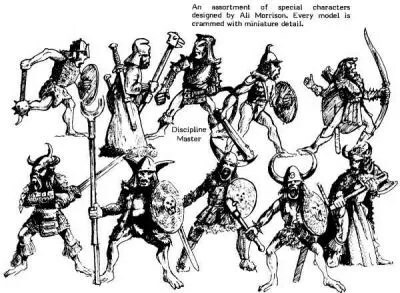 The first unit of figures I ever assembled was some Citadel C36 Hobgoblins. I’d had some figures before then, Orcs and Dwarves, but they were random purchases. 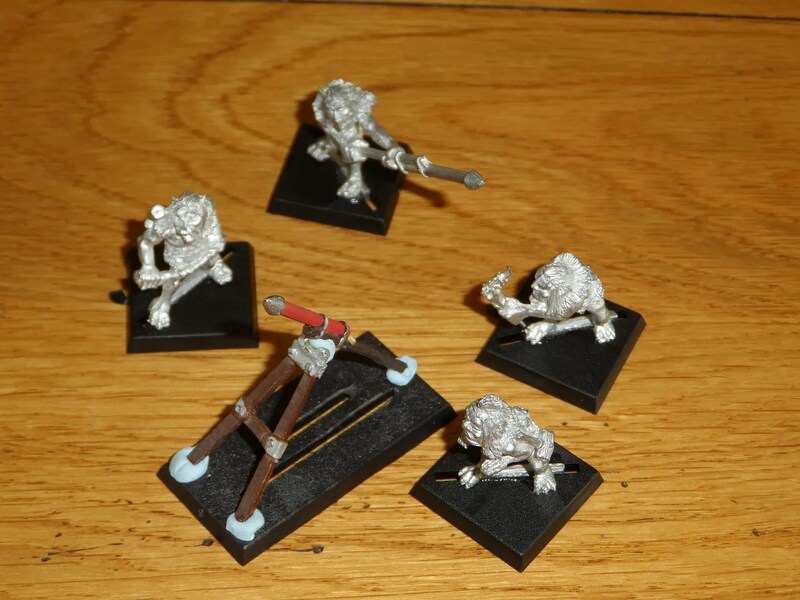 Instead the Hobgoblins mounted up to 30 strong in short order and were even painted (badly) in a cohesive way using Citadel’s Hobgoblin Orange paint ! 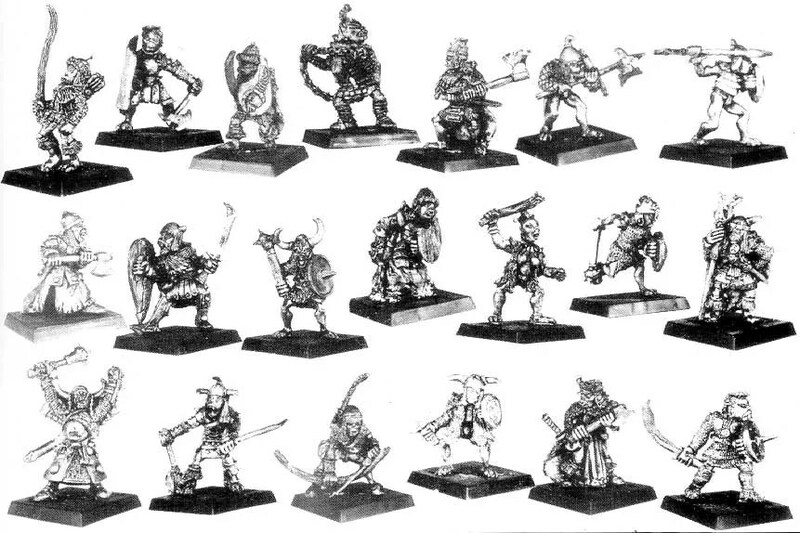 Luckily for me, no pictures remain of these….I did however keep the figures and for a good few years continue to amass Hobgoblin figures. 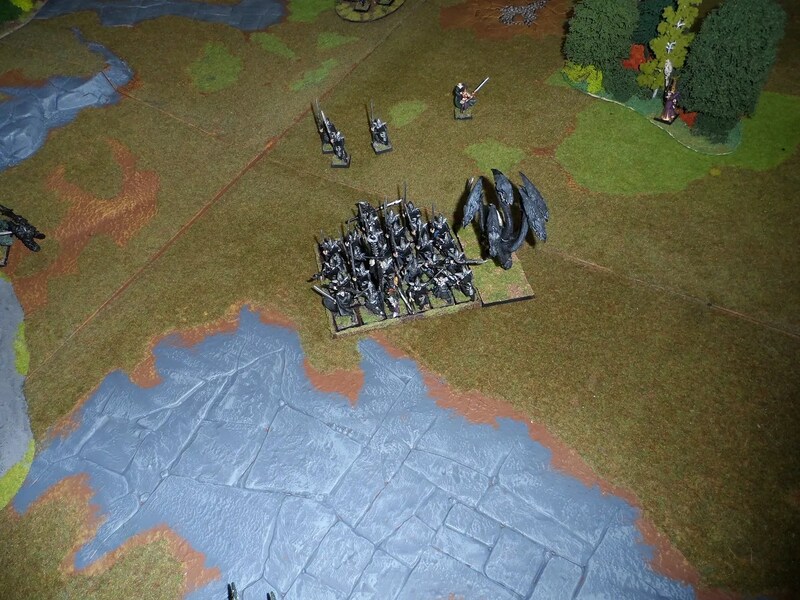 Having repeatedly stated that my opposing generals knew my Dark Elves almost as well as I do, I recently decided to start assembling properly my Hobgoblins into an army. As you can see, I have enough figures now ! 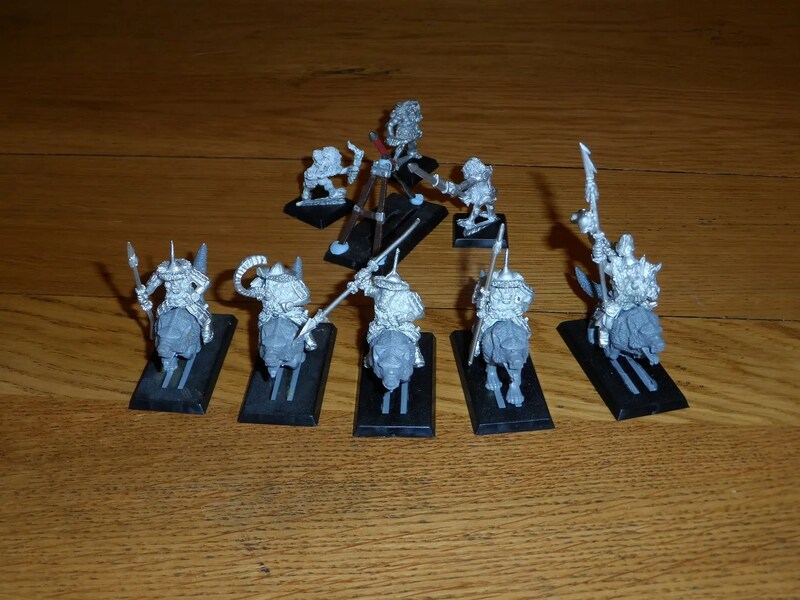 Wolf Riders – lots – including Olga Khans mercenaries, the original Nick Lund Orc Wolf Riders that match stylistically with Ali Morrission’s Hobgoblins, and then the later Nick Lund Grenadier wolf riders. Oh and the Morrison/Copplestone Rocket Launcher and crew. All of these date from before 1988 during the Golden Age of Citadel, so I’ll do a quick historical run down whilst the glue and undercoat dry out tomorrow and I start to lay brush to metal. 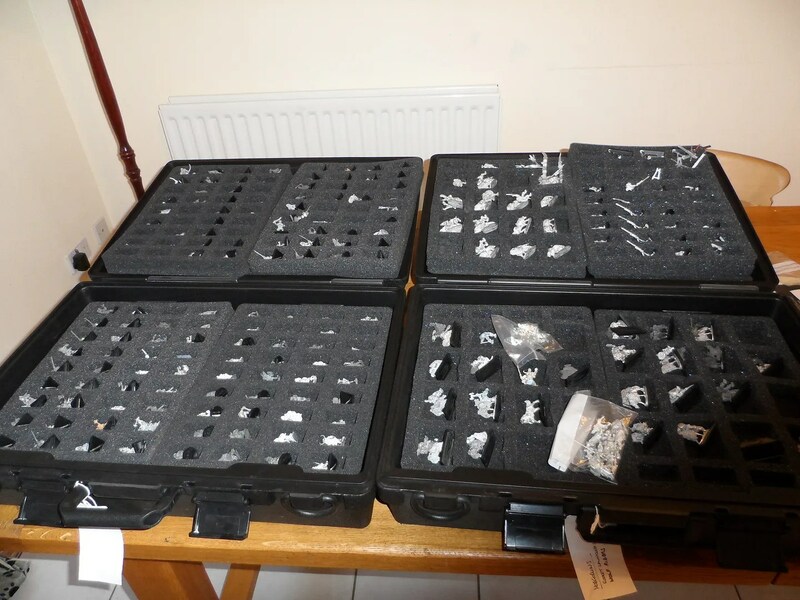 A more wordy entry than normal – how do you protect or insure your models, paint jobs, artwork, verbiage and other precious things ? So what has this got to do with little toy soldiers ? I’ve jokingly commented before to friends that we should be insuring our toys as separate items on our contents insurance policies. With an entire room (and more) currently filled with figures, scenery and accessories it would take me tens of thousands of pounds to replace the collection I have built up over the last 30 years. 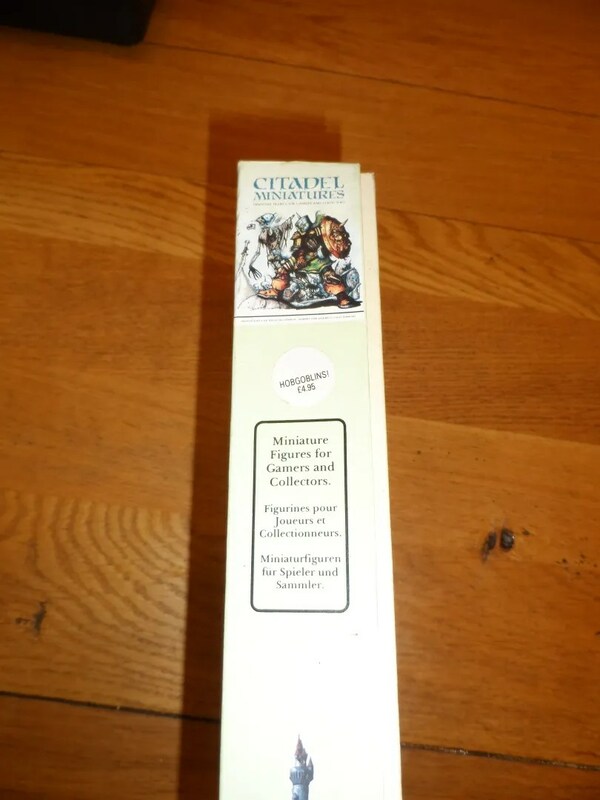 I am unlikely to be able to find all the figures, especially the limited edition ones. I’d never be able to replace the scenery much of which is scratchbuild. I’d never be able to repaint all the figures in time as this would take years of effort. The missing magazines, books and rules sets would never be replaced. Its strange I haven’t done this yet – put a price on the entire collection – and it is tens of thousands of pounds. In conversation with others over the w/e and before, the need to back up pictures and documents on your computer are something has done a greater or lesser extent. For instance, my pictures are held on my iMac, I’ve got two external hard drives that act as back-up (one is stored in my car) and I have deposited separate USB drives with other people where legally required (eg Village Hall Committee and Parish Council files) and a healthy % of pictures have been uploaded to photobucket, drop bucket and other service providers in the cloud. Then there are the CDs I’ve burnt with chunks of documents. But for my figures ? Nothing. 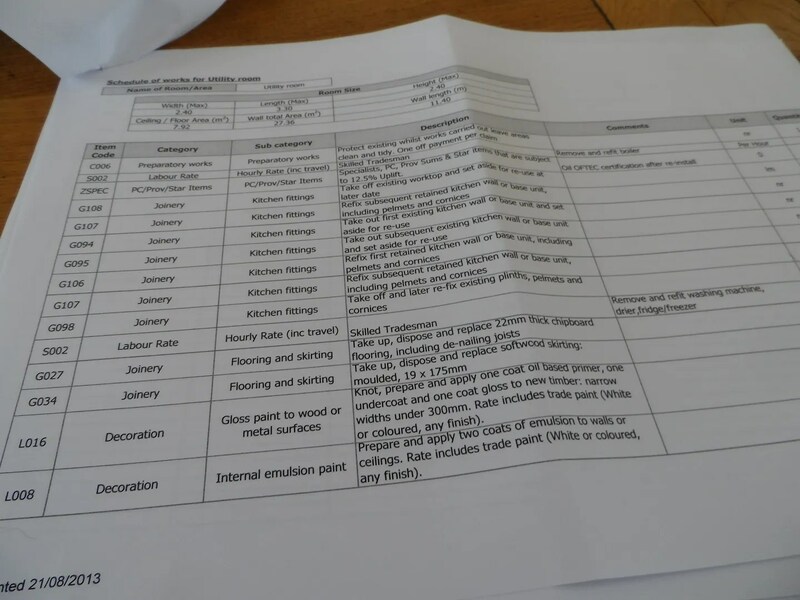 Not even a separate item on the contents insurance. 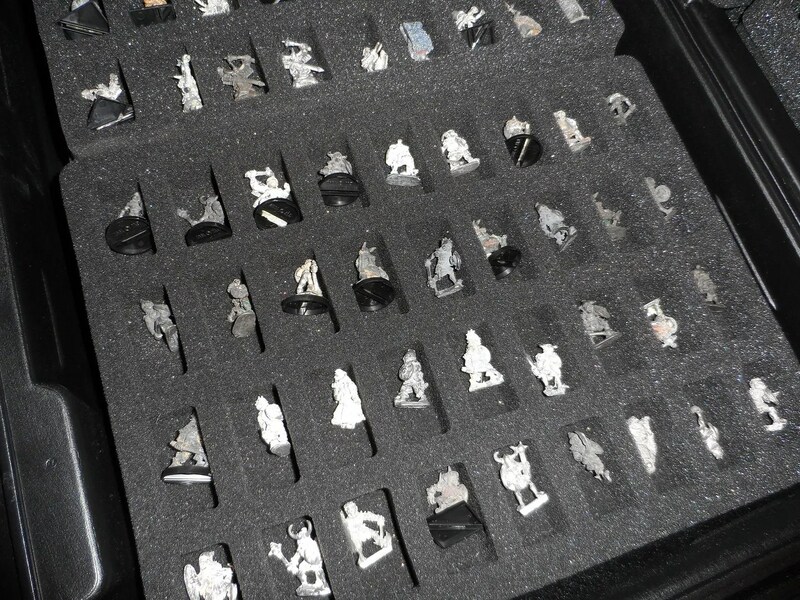 We often read of precious artworks, manuscripts etc being burnt, destroyed, rediscovered in attics, but do we wargamers ever do anything to prevent the loss of our little friends ? Do we have anything to learn from authors and artists in how to protect our property ? How do authors and artists protect their work from accidental destruction ? 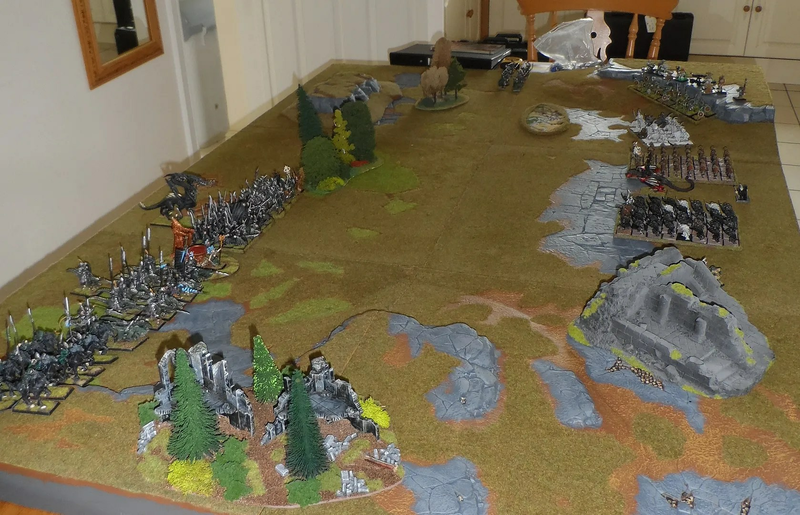 Another game of WHFB on Sunday ! We both refused a flank ! Resulting in an almost diagonal battle. 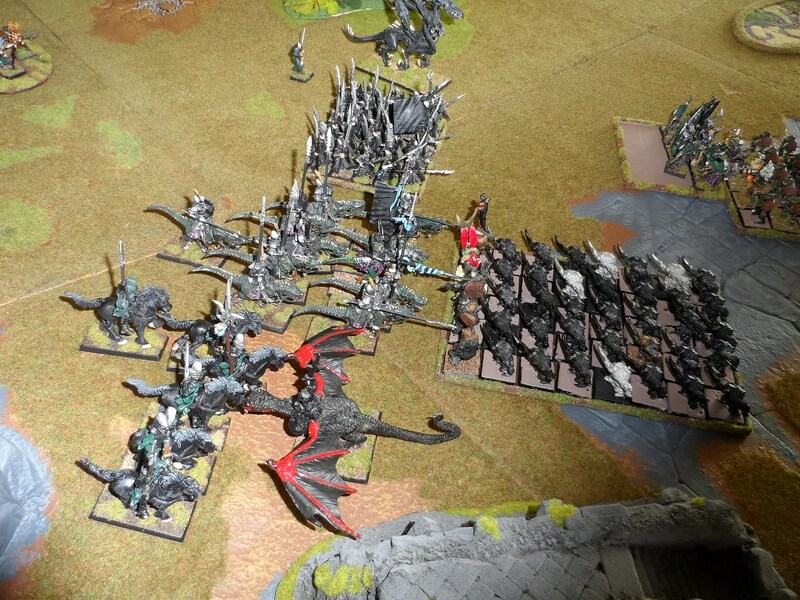 My army remained almost the same from Saturday, and my tactics similarly. The battlefield had received some feline love, but was mostly unchanged since Rich had laid it out on Saturday. Gav had not been able to prepare his army list beforehand so made it up when he arrived (I have his army on a spreadsheet as he is limited by his actual possessions). 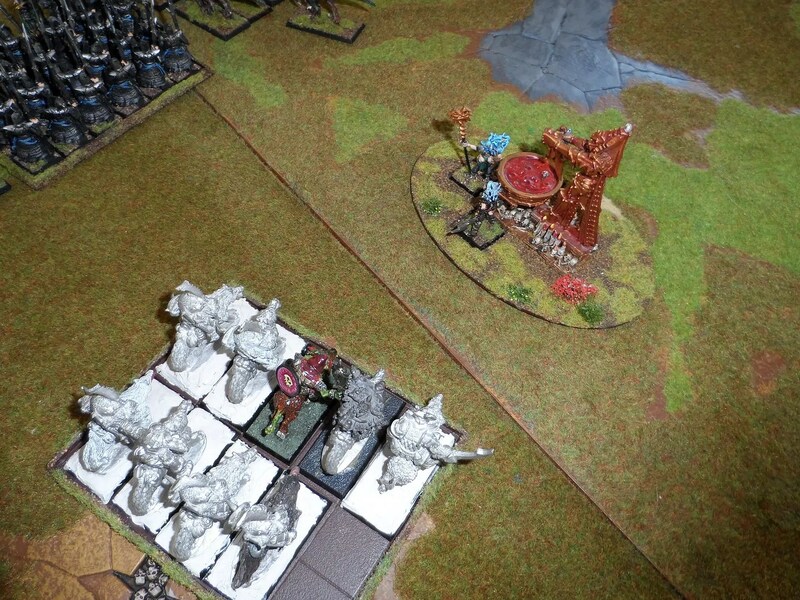 His first move was to charge his wolf riders into my RXB unit, which ran away and was wiped out. His follow up move towards the cauldron of blood was less successful. Whilst he took a gamble and charged the Cold One Chariot that he defeated which ran away before rallying and defeating the wolf riders. 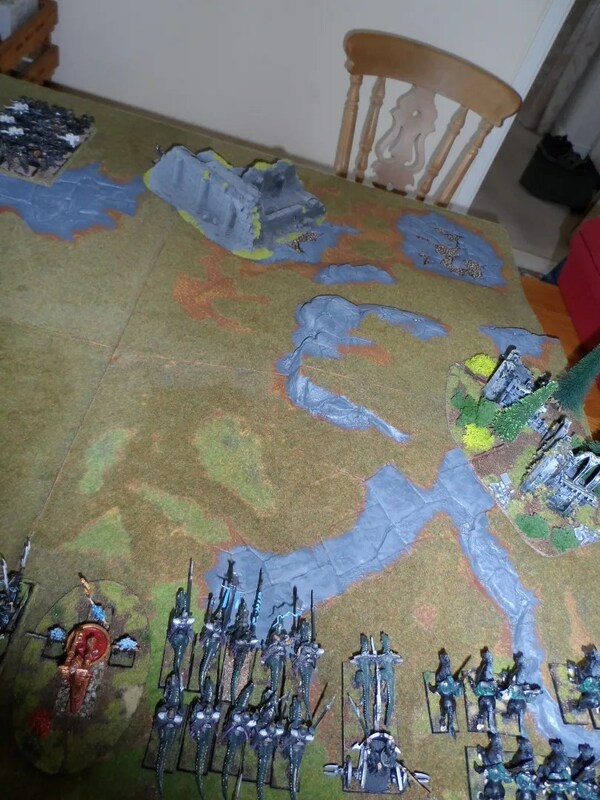 In the meantime my centre moved forward to engage the two huge (40 each) columns of Orcs. And failed their charge rolls twice.Yes, out of SIX charge attempts FIVE FAILED. This left the Shades attacking, defeating and running down the Savage Orcs that were protecting the massed ranks of bolt throwers. 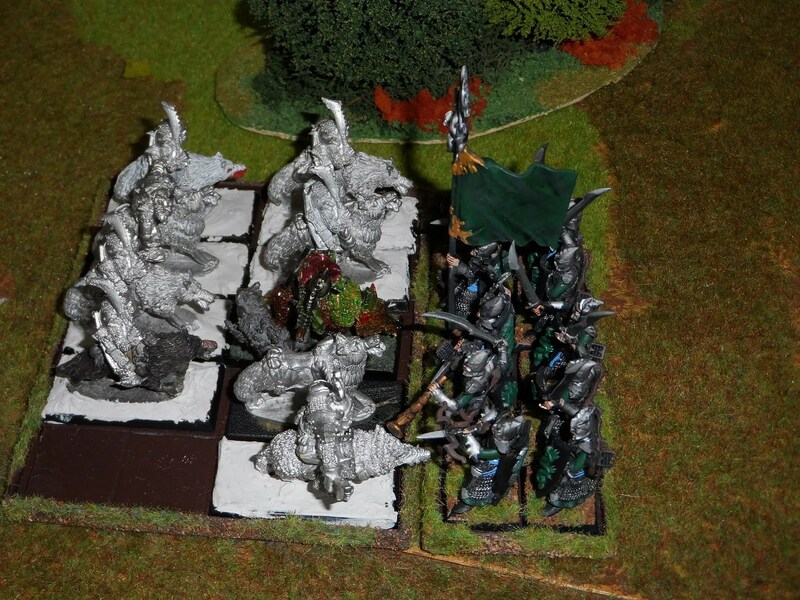 Having done this, Gav tried zapping the remaining Shades (5) with magic and four bolt throwers, and not killing them. They closed in and the Shades wiped out all but two bolt throwers. In the centre. 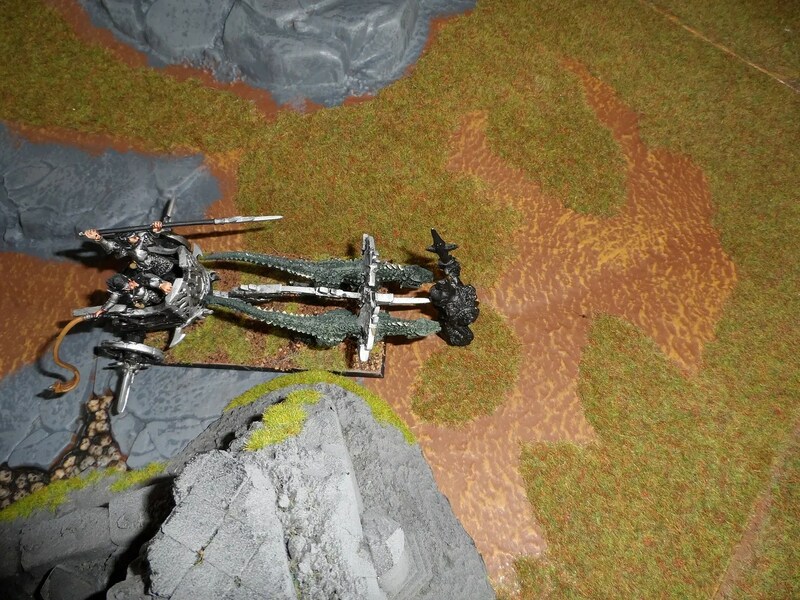 the Corsairs, charged into combat alone and whilst casing damage were wiped out, before the Silver Talons moved in and finished the job off. Again Samartik’s combination of armour and magic items proved succesful. The Cold One Knights finally managed to motivate their mounts and trashed the Black Orcs even though they (the Black Orcs) charged, whilst the Dark Riders and Cold One Chariot ground down the Orc General over several rounds. 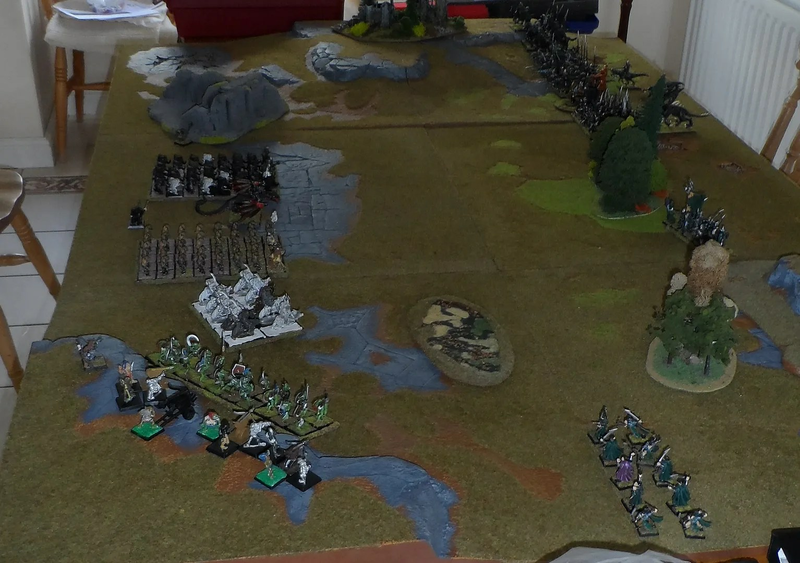 A victory for the Dark Elves, but not an overwhelming one, and the dice let me down repeatedly as Gav noticed. 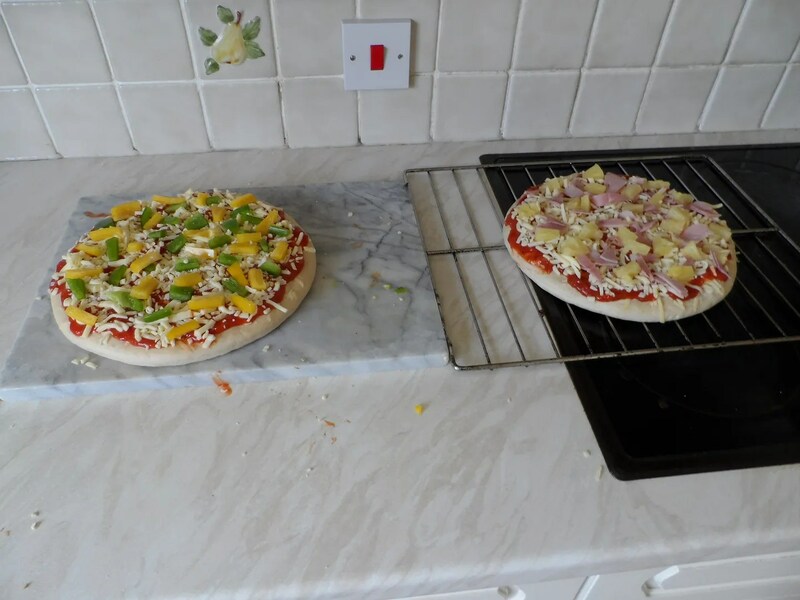 And I am now heartedly sick of Pizzas ! Luckily for me, the local Indian take away had a broken credit/debit card reader yesterday evening, so after all my cards were refused (as were three other peoples’ cards), they let us take home our orders for free !